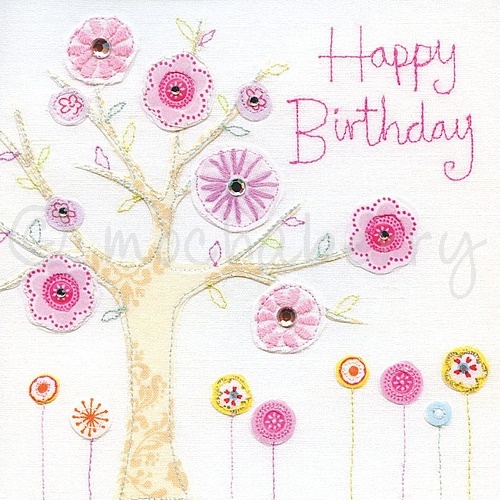 This delightful female Happy Birthday card is based on an original embroidery design. The image is embossed on watercolour textured board to give a most realistic relief effect and is hand finished with jewels. Each card comes with a coloured envelope that compliments the design and is sealed in a clear cellophane bag. May not be suitable for children under five years due to small parts.